I wanted to make sure you heard it in your mind now say it out loud. It just sounds like a cold and ugly word when it leaves your lips. To the best of my knowledge there is never a positive spin to spite. Spite is the anti- to what my Jesus taught: mercy & compassion, love & forgiveness. I haven't blogged this upset in a long time but I am striving to control the spite that is swirling inside of me, praying for the strength to keep it a fleeting moment, a noun, a feeling and never let it come to the surface to become a verb-an action, a harm. I thought perhaps if I poured my feelings out here then I could....let the feeling pass. Let me clarify. I am fine, really I am. I just have to get this out. 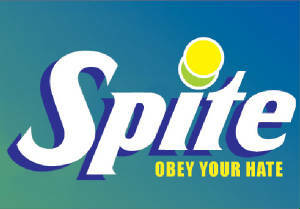 Spite got the best of someone I love. Someone who knew and loved me before I was even born. The feelings of spite led her to share a confidence without even realizing that I wasn't the only one that would be hurt. The one on the listening side now feels betrayed, unwanted, confused and even angry....hurt with knowledge they can't comprehend. I have to believe in my heart that she never planned her act of spite to do anything more than hurt me. Forgiveness must be my only action. When we act out of spite we have no idea who might get hurt in the process. So the damage is done, I am hurt but not so much for me but for the unintended recipient of bitter ill will. The only thing I know to do is forgive-unless I forgive I can't help others heal. Right now all I want is healing and deep shalom. Often when I lie awake at night so many thoughts fill my head. 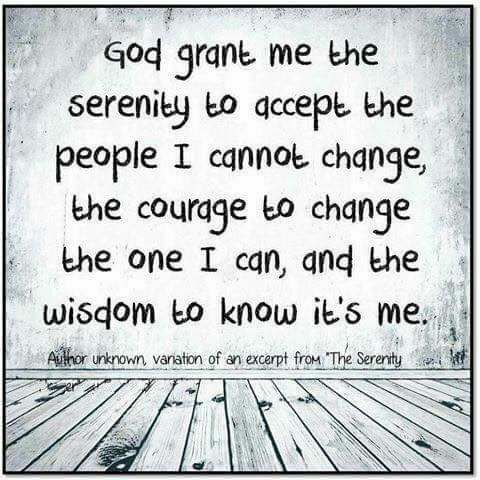 I find that I rely on the serenity prayer to help center my spirit and relieve myself of feeling I am responsible for everything. Today a dear friend shared a meme and it struck a chord with me. I think when I'm stressed and unable to sleep this will be my new prayer! 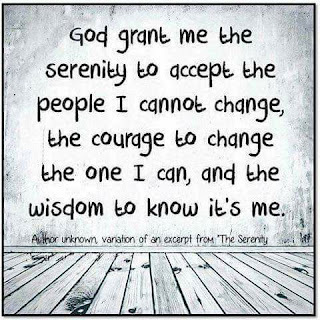 Yes, I need to be the one to change (my mindset) because I cannot change (the behavior of) others. My mom always said that we need to be like ducks. Have you ever seen a duck in the rain? Its feathers are incredibly made by a God who knew exactly what they'd need, the rain just beads up and rolls right off. The rain just beads up and rolls right off...I'll let this roll off me for I am insignificant. I can do nothing to prevent the spite that others feel toward me but I can forgive and I can help heal. Thanks for listening. I think I found that shalom.